This blog was written as part of a collaborative team work task by students studying E119. They had to select a topic and then decide on what roles each person would perform in the team, such as researcher, writer, editor and leader. This blog was chosen as one of the four best blogs from around 80 blogs that were produced. The development of new technology, such as the internet, in which everyone can upload their body transformation videos, can create feelings of admiration as well as a sense of jealousy. This is particularly common in young men who have a strong desire of building a big lean body like those shown on social media. Often, the first question that comes to mind of young men on their smartphones is whether or not they can achieve a physique like someone’s on social media, and how quickly a body like this can be achieved. Interestingly, it is becoming increasingly common when as health and fitness practitioners you must convince young trainees that an aesthetical physique requires patience and long-term consistency; building towards health and beauty should be a gradual process. Laidler (2017), an experienced personal trainer, comprehensively explains in The Telegraph newspaper that factors such as patience, commitment, a healthy diet and specific training programmes, as well as sufficient rest and sleep, will all contribute to the handsome body one desires. However, in a world in which everything is being created at a rapid pace and everyone is rushing to exhibit their achievements, a quick body transformation is demanded to make one feel proficient and competent, as well as to show it off in their social environment! Someone who begins a hypertrophy programme to build the physique they dream of, or more specifically the ‘perfect’ body they have seen on social media, will soon find out the harsh reality; that is, the body does not change as rapidly as many people advertise. 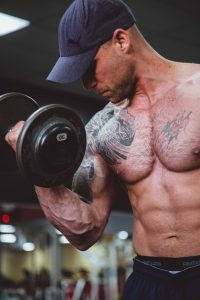 Besides, if it was so simple for us all to get big and lean, then there would be a significantly greater number of young men with the body they desire. On the contrary, if you take a walk around the majority of gyms, you will soon discover that a massive and ‘shredded’ body it is no easy feat. Most individuals cannot naturally reach extremely high muscle mass levels along with very low body fat, with the exception of some individuals who are favored by their genetics, and even this is only up to a certain threshold (Morgan, 2015). Nevertheless, on the subject of improving self-image in gyms, the argument seems to almost always be the same: ‘how are those two guys in the gym I have been training bigger and leaner than the others? I want to be like them’. If you are constantly asking for an answer, another coach will appear from nowhere and offer you the opportunity to achieve the body you have dreamt of. They will claim they can transform you into a bigger and leaner version of yourself (Krahn, 2009). ‘Up to a million Britons use steroids for looks not sport’ (The Guardian, 2018). Public health experts have stated that in order to change the way they look, up to 1 million people in the UK are taking anabolic steroids and other IPEDs. Ranging from teenagers seeking the perfect physic and elderly men hoping to hold onto their youthfulness. Anabolic steroids are the biggest group of IPEDs. They are a group of hormones which occur naturally in the body and are responsible for growth, physical development and functioning of reproductive organs. Some athletes abuse anabolic steroids to help them perform better as steroids build muscle and improve athletic performance. In a Public Health Institute study, more than half of the respondents said that the development of body image was their motivation for using IPEDs. Those who took part ranged from 17-74 years of age, resulting in the average person likely to take IPEDs to be a white male in their 30s (The Guardian, 2018). Image and performance enhancing drugs can cause numerous health issues; including both physical and mental side effects. For example, IPEDs can cause cardiovascular diseases and permanent disruption of normal sexual function as a result of long-term use (Pope et al., 2014). Some IPEDs are taken by injecting which can cause soft tissue injury and localised infections. 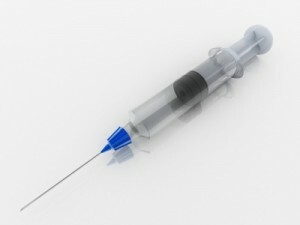 Furthermore, sharing injecting equipment can spread HIV, hepatitis C and other infections. In a 2013 study, 8.9% of IPED users stated that they had shared injecting equipment. As a result, it was discovered that 1.5% of IPED injectors across England and Wales were HIV positive, and a further 8% infected by hepatitis B and 5% by hepatitis C (Hope et al., 2013). Additionally, the main risks of steroids include stunted growth in young people and hypertension; steroids encourage the retention of water in the body and thus raise blood pressure. DrugWise (2017) also states that steroids can cause irreversible changes in the female body including the risk of developing ‘male’ features such as decreased breast size, facial and body hair, and deepening of the voice. The IPEDs world is a dangerous one… Your health should always come first. BBC (2017) Main Motivation for Steroid Use ‘to enhance image’ [Online\. Available at https://www.bbc.co.uk/news/uk-wales-41984527 (Accessed 22 January 2019). DrugWise (2017) Performance and Image Enhancing Drugs (PIEDs) [Online]. Available at https://www.drugwise.org.uk/performance-and-image-enhancing-drugs-pieds/ (Accessed 22 January 2019). The Guardian (2018) Up to a Million Britons Use Steroids For Looks Not Sport [Online]. Available at https://www.theguardian.com/society/2018/jan/21/up-to-a-million-britons-use-steroids-for-looks-not-sport (Accessed 22 January 2019). Hope, V. D., McVeigh, J., Marongiu, A., Evans-Brown, M., Smith, J., Kimergård, A., Croxford, S., Beynon, C. M., Parry, J. V., Bellis, M. A. and Ncube, F. (2013) ‘Prevalence of, and risk factors for, HIV, hepatitis B and C infections among men who inject image and performance enhancing drugs: a cross-sectional study’, BMJ Open, vol. 3, no. 9 [Online]. Available at https://www.ncbi.nlm.nih.gov/pmc/articles/PMC3773656/ (Accessed 22 January 2019). Jones, H. (2016) Steroid Use in the UK: What You Need to Know, ITV [Online]. Available at https://www.itv.com/goodmorningbritain/news/spencer-matthews-investigates-britains-steroid-epidemic-for-gmb (Accessed 16 January 2019). Krahn, B. (2009) The Drug Coach [Online]. Available at https://www.t-nation.com/pharma/drug-coach (Accessed 23 January 2019). Laidler, S. (2017) How to Build Muscle: A Complete Guide to Making a Bigger, Stronger You [Online]. 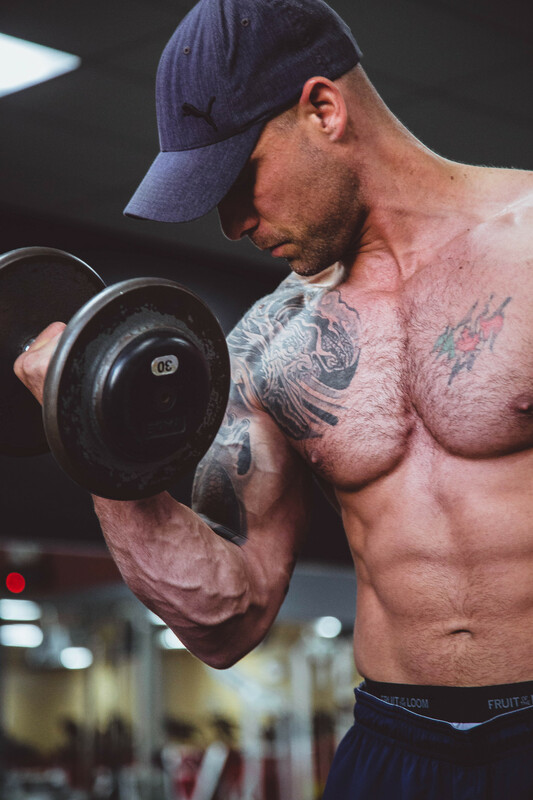 Available at https://www.telegraph.co.uk/health-fitness/body/build-muscle-complete-guide-making-bigger-stronger/ (Accessed 16 January 2019). Morgan, A. (2015) Maximum Genetic Muscular Potential – The Models and their Limitations [Online]. Available at https://rippedbody.com/maximum-muscular-potential/ (Accessed 16 January 2019). Pope, H.G. Jr., Wood R.I., Rogol, A., Nyberg, F., Bowers, L. and Bhasin, S. (2014) ‘Adverse health consequences of performance enhancing drugs: An Endocrine Society Scientific statement’, Endocrine Reviews, vol. 35, no. 3, pp. 341-375 [Online]. Available at https://www.ncbi.nlm.nih.gov/pubmed/24423981 (Accessed 22 January 2019). This entry was posted in Doping, E119, E119 Student Blogs on February 20, 2019 by Caroline Heaney. Sport is in a state – why has drug use become such a major issue? As someone who has been involved competing in sport, working in sport and watching sport all my life I have become increasingly concerned about the negative reports about its association with drug use. Team Sky has had a particularly bad couple of weeks with speculation over the contents of a ‘mystery package’ that was sent to Bradley Wiggins in 2011 added to by revelations that ex-Team Sky rider, Josh Edmondson, had been using a pain killer, Tramadol, and injecting vitamins in 2013 and 2014. Although vitamins are not a banned substance it is contrary to the policy brought in by the cyclist’s union, UCI, in 2011 that banned cyclists from the use of needles. Added to this is the revelation that US anti-doping agency (USADA) are investigating whether any rules were broken when Mo Farah was injected with a legal protein supplement, L-carnitine, by Dr. Robin Chakraverty. These two incidences are interesting because neither is illegal as the substances are not banned but they are considered as dubious or underhand practices that contravene the spirit of sport. In particular, it is the use of needles seems to cross the line between acceptable and unacceptable practices for professional sports people. However, top level sport in the UK seems to have a relatively minor doping problem. According to UK anti-doping (UKAD) there are currently 52 athletes or coaches banned due to the use of illegal substances and only 12% of these are involved in professional sport. Most banned athletes are involved in amateur sports (62%) or semi-professional sports (21%). A BBC poll (BBC, 2017) showed that 35% of amateur sports people know someone who has used drugs and 8% said they had personally taken steroids. The use of drugs is a major problem because as well as being cheating they can have devastating side effects, such as heart conditions and liver failure, that are ignored in favour of their benefits. Also, as they become more prevalent people will start to adopt the dangerous attitude that ‘they are only doing what everyone else is doing’. Which substances are being used and why are they being taken? The BBC poll showed three motives for drug use with 41% saying they took drugs to improve performance, 40% for pain relief and 34% to improve how they look. This fits in well with the three categories of substance most commonly used. Anabolic steroids, such as nandrolone and stanozolol, mimic the hormone testosterone and promote muscle development that can enhance performance or improve the perception of an individual’s body image. Semi-professional and amateur rugby union and league have a particular issue with anabolic steroids as success is increasingly allied to strength and bulk. These sports have accounted for 46% of the sanctions issued by UKAD (BBC, 2017). Stimulants, such as amphetamines and ephedrine, are taken to reduce fatigue and allow an athlete to compete at maximum intensity for longer thus enhancing performance. They also create a ‘fat burning effect’ which can be desirable for those wanting to improve their appearance. Narcotic analgesics, such as morphine and pethidine, act as painkillers and can mask the effect of injuries and allow athletes to train harder and longer. Tramadol has a similar effect but is an opioid rather than a narcotic. The motives for drug use are clear but there are two main factors that are contributing to its growth. Firstly, the ‘win at all costs’ mentality or what Team Sky described as a ‘medallist’ culture. This can lead to athlete welfare being compromised at the expense of ensuring they are successful. The song ‘We are the champions’ which was played during the ceremony as Manchester United were recently presented with the EFL Cup has the line ‘No time for losers ‘cause we are the champions’ exemplifying attitudes to success and failure. Possibly a dubious message to send to our children. Secondly, the obsession with body image and pressure to conform to stereotypes of male and female beauty. This is often media driven through images in fitness magazines and increasingly training seems to be about attaining an attractive physique rather than gaining health benefits. Indeed, the practices of training for health and training for body image are often at odds with each other as steroids are used to build muscle and stimulants to promote fat burning. The psychological condition ‘bigorexia’ where muscular people see themselves as having physical flaws or not being muscular enough has become as much of a concern as anorexia where people see themselves as being overweight irrespective of their actual appearance. Is sharing negative experiences of drug users a solution? Nicola Sapstead, the head of UKAD, has described drug use in UK sport as ‘fast becoming a crisis’ but it is possible that a potential solution is already available. On the BBC 5live phone on 20th March there was a steady stream of people who had used drugs describing the damaging long-term consequences of drug use’ with one male gym user who had to have to surgery to remove excess breast tissue that had developed due to the increase in oestrogen levels caused by steroids. Creating effective education programmes and showing people that despite what they may experience many athletes, such as Jess Ennis-Hill, experience success without taking supplements or resorting to dangerous practices. Waddington, I. and Smith, A. (2009). An Introduction to Drugs in Sport: Addicted to winning? Abingdon, Routledge. Cheating in sport and the issues surrounding drug use are covered in our new module E117 that will be available from October 2017. For more information visit the Study with us section of this website. This entry was posted in Doping, Simon Rea on March 21, 2017 by Caroline Heaney.